We are doing this for the future of Australia. Our aspiration is to harness innovation for job creation and economic benefit to current and future generations. We are by no means there today: According to the World Economic Forum (WEF), Australia lags 22 other countries (out of 140 measured) on innovation.“ Despite world-class education and universities, it [Australia] continues to lag behind most advanced economies in innovation (23rd). With global commodity prices set to remain low for the foreseeable future, along with the slowdown in China, the country must diversify further and move up the value chain” (WEF). 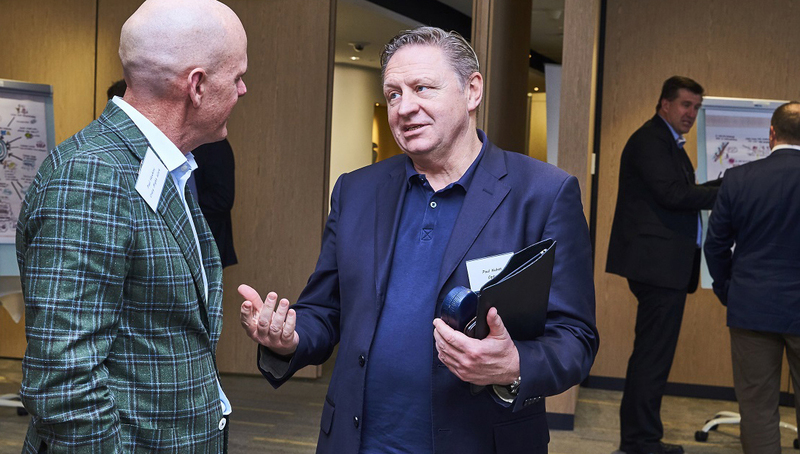 Crazy Might Work and partner, CEB (now Gartner) are working with the Business Council of Australia’s Innovation Task Force to respond to Australia’s innovation challenge. Youth do not have equal access to the kinds of experiences and educational programmes that stimulate interest and build capability in the science, technology, engineering, mathematics (STEM) areas. This initiative aims at a more active role from Corporate Australia in identifying the skills of the future and delivery of programmes that invest in creating relevant capabilities in our youth. As a first step, we propose to surface all of the existing programs, in order to understand, what they are, how they work and who uses them. We will also determine where corporates play a more direct role in strengthening curriculums, potentially by deploying skilled staff to support the programmes in schools and offering internships/job placement to gain meaningful work experience. AI, robotics and other disruptions will lead to automation of certain roles that exist today and so there will be a need to help displaced workers with re-skilling. This initiative is aimed at creating a career advisory service for workers looking to make a transition of their working lives one that will empower them to make future transitions more readily. People seeking to navigate these changes could call a hotline to discuss up-skilling and transition options based on their current /impending situation. Advertising of the service would be provided by various platforms and would largely consist of success stories that show how people have reinvented themselves e.g. builder to 3D printer. This initiative aims to unpack the complex topic of innovation using graphics. Mapping data about our innovation ecosystem, we are able to depict it visually and make the insights instantly accessible. This helps us to identify strengths that can be amplified in some way e.g. industry concentrations that suggest ‘economic complexity’ that could become a competitive advantage on the international stage. 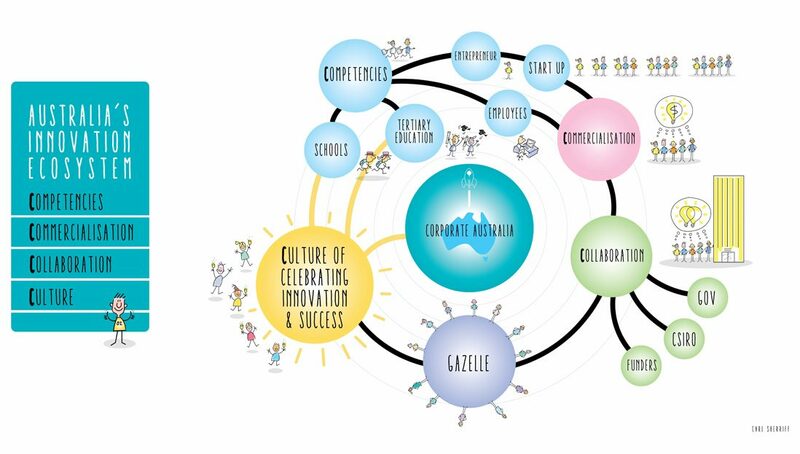 The Innovation Playbook and Index is designed to counter the ‘short-termism’ reinforced by corporate reporting cycles, incentivising and empowering Boards and executives to connect share price with the ability to serially produce and commercialise innovative new products and services. This idea has two key components A) a corporate index that measures innovation, linked to financial performance; and B) a playbook that captures innovative best practices. The index and playbook will be cross-industry and create alignment and consistency in how companies execute, measure and communicate innovation. Innovation Index performance will become a beacon for attracting and retaining talent and raise the profile and importance of innovation. Alchemy seeks to understand the combination of human and digital chemistry that turns start-ups into ‘gazelles’ (the high sales growth businesses increase revenues by more than 20% per annum over 4 consecutive years, off a greater than $1 million base). These businesses (rather than start-ups in general) generate most of the net job group in our economy, so we would like to see more of these emerging. The start-up-to-Gazelle conversion rates of various incubators and accelerators, combined with in-depth prototyping with former gazelles, may help us understand and replicate the physical and digital environment that is most conducive to this kind of growth. Co-Lab presents a shared physical space (or innovation lab) that multiple corporates use for strategic problem-solving. 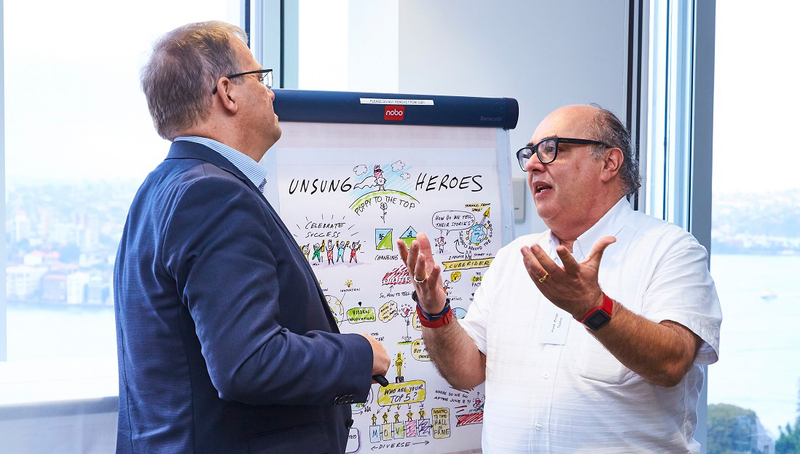 The Co-Lab also provides a bureau-type service that connects corporates with strategic challenges to those in the broader start-up, research, SME and student community that might be able to solve them. Co-Lab will add additional value by pre-qualifying and evaluating the innovation talent pool, curating creative, problem-solving talent from all parts of the ecosystem and choosing the ‘’dream team’’ for each of the incoming corporate challenges. Innovent is an immersive, problem-solving and experimental event, designed to make ecosystem connections, whilst solving big problems. 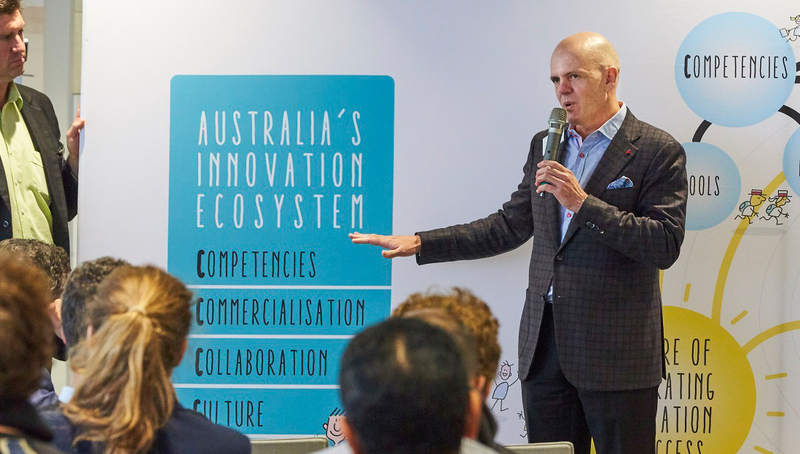 Activity-based, and bringing together all of Australia’s innovation ecosystem players to solve big systemic challenges, Innovent creates relationships that are re-usable outside of the events themselves. Live experimentation occurs intra-day because all of the key stakeholders (including the end users or customers) are in the room and solutions can be prototyped and validated instantaneously as we tackle and resolve significant ecosystem challenges together. Connecting businesses (large and small) to use complementary strengths to more effectively enter and grow overseas with increased market relevance. Celebrating Australia’s innovative and internationally-successful businesses, so that these examples can become a source of aspiration and inspiration for all Australians. My Innovation Channel brings visibility and credibility to entrepreneurs and their innovation efforts, making this career option more attractive and aspirational for the population as a whole, and youth in particular. This is a team-based event (similar to “My Kitchen Rules) where teams are invited to compete in commercialising an innovative business idea. Team profiles are showcased and stories are told to draw attention to the highs and lows of entrepreneurship. There would be a significant prize e.g. $500k donated by Corporate Australia and the competition would be showcased via a number of channels including television and social. We have consistently heard through our research that Australians are poor celebrators of business success. There are strains of ‘tall poppy’ syndrome that keep our most innovative business success stories from being told and publicly acknowledged. This, in turn, prevents these stories from becoming aspirational models for our youth and affects how people make career choices relative to entrepreneurial alternatives. Demonstration of some form of world-leading business innovation. If you would like to get involved in the current prototyping phase, contact Crazy Might Work here.